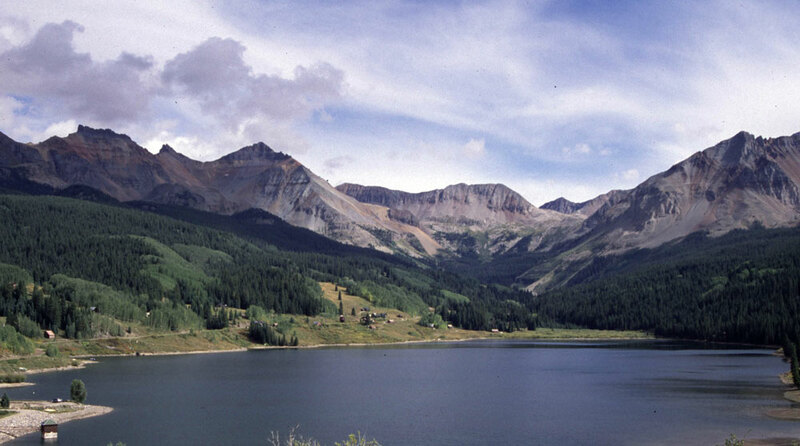 Traveling through the dazzling multihued San Juan Mountains and making stops at historic towns of great significance, Colorado's San Juan Skyway Scenic and Historic Byway is often considered an essential journey for road trippers, traveling through popular mountain towns like Durango, Silverton, Telluride and Ouray. In 2012, Travel + Leisure named San Juan Skyway one of "America's Best Spring Drives" for its million-dollar views. • Situated on the southern edge of the San Juans, the town of Durango was perfectly located for railroad interests. By the 1880s, it had become a train hub and a center of commerce. Walking tours take visitors to see saloons, the Strater Hotel (once catering to railroad barons), the Denver and Rio Grande Railroad Depot and historic homes in the Queen Anne, Greek and Spanish Colonial revival styles. 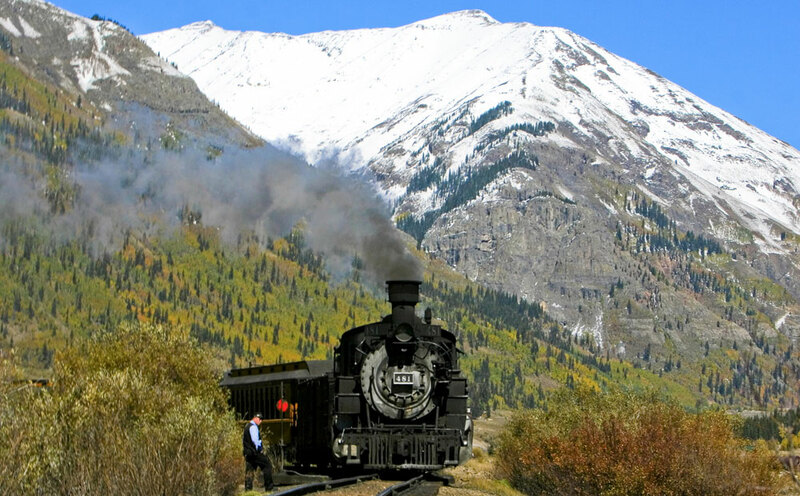 • Board the Durango and Silverton Narrow Gauge Railroad, a national historic landmark, for a scenic ride deep into the San Juan Mountains via steam locomotive. • The canyon-clinging stretch of the byway between Silverton and Ouray is called “The Million Dollar Highway” either because it cost so much to build or the amount of gold ore that remained in the roadway’s fill. 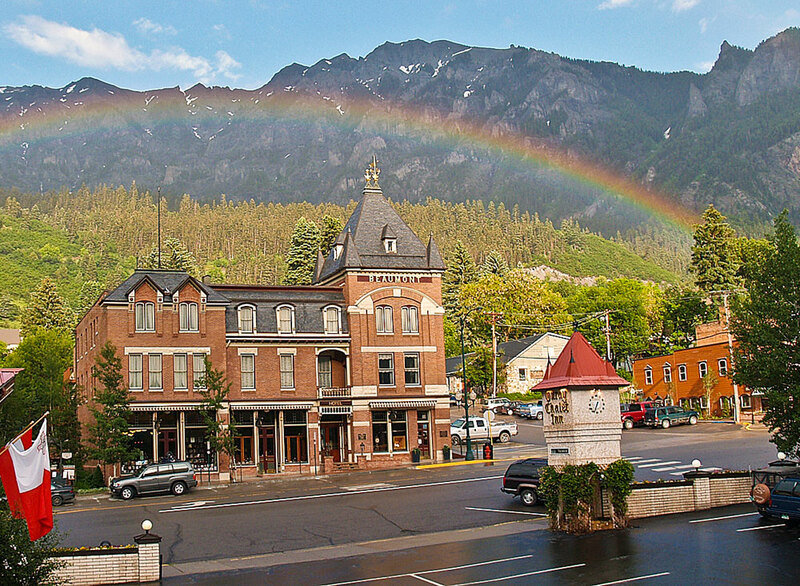 • The historic town of Ouray bears the name of a Tabeguache Ute Indian chief who championed peace and friendship with white settlers in the mid-1800s. Many of the town’s mining-era buildings have been preserved. The Ouray County Historical Museum is housed in the brownstone Miner’s Hospital, which was built in 1887. • The gorgeous mining camp turned vacation destination of Telluride hasn’t sacrificed the past for its future. Its national historic district downtown is well preserved with the New Sheridan Hotel and Sheridan Opera House as standouts. The Telluride Historical Museum offers self-guided tours. • The byway eventually loops to the south and visits Dolores and Mesa Verde National Park, where the famed cliff dwellings of the Ancestral Puebloan people can be found. Many of the attractions on this section overlap with the Trail of the Ancients Scenic and Historic Byway. Note: Many parts of The Million Dollar Highway have drop-offs that lack guardrails. Check conditions ahead of time by visiting www.cotrip.org or calling the Colorado Department of Transportation at 303-639-1111. Photos: Dolores, Ouray (courtesy of Kane Scheidegger/Ouray Chamber Resort Association), Durango & Silverton Narrow Gauge Railroad.